The St.Andrew’s Church Development Appeal receives support from a number of sources, ranging from local donations to grants from national bodies. For a list of the Trusts and Foundations that have contributed to the Appeal, click here. The Development Committee’s architects have prepared an animated video of a walkround of the completed interior of St.Andrew’s Church. 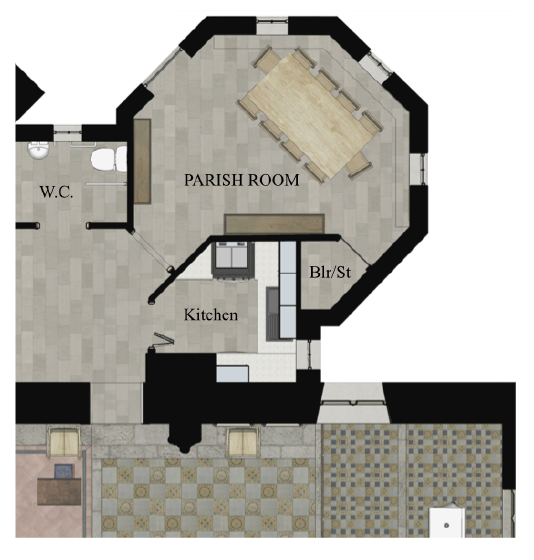 This gives the viewer an impression of the spacious layout, as well as some of the new facilities planned to bring the church up to a standard to last for many decades to come. To view the video, just click here and then click on the symbol shown.